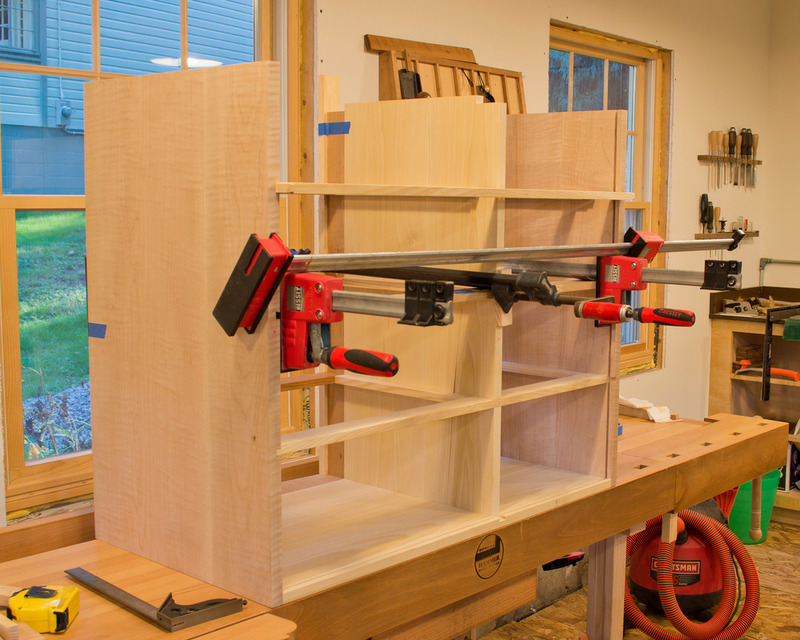 One of two bending forms needed for this piece. It is made of MDF ribs with 2 layers of 1/4" plywood glued & stapled over the ribs. Same form, different view. Here you can see the ribs. The entire form is wrapped in packing tape to prevent the adhesive from sticking to the form. 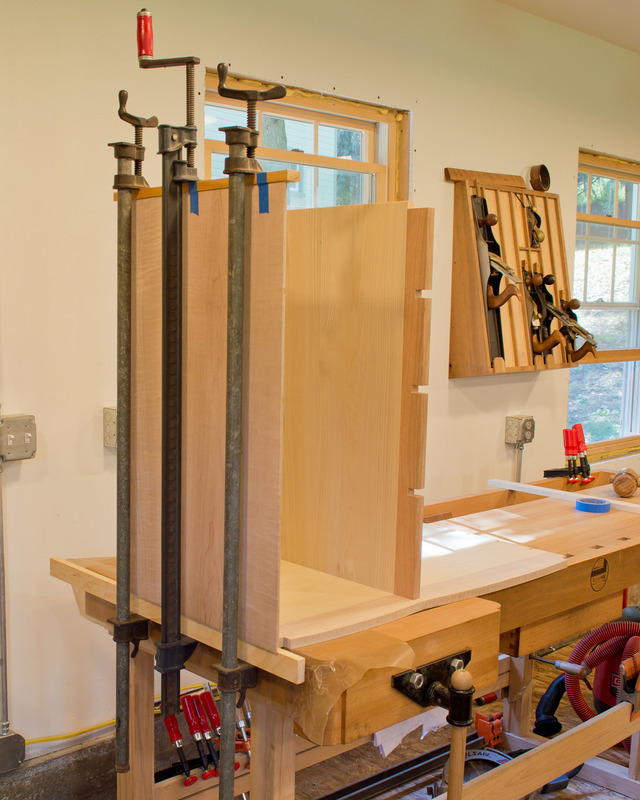 Pressure is applied with clamps and cauls. For this piece, I used 3 layers of 1/4" plywood, with solid maple cauls attached to the topmost layer of plywood. 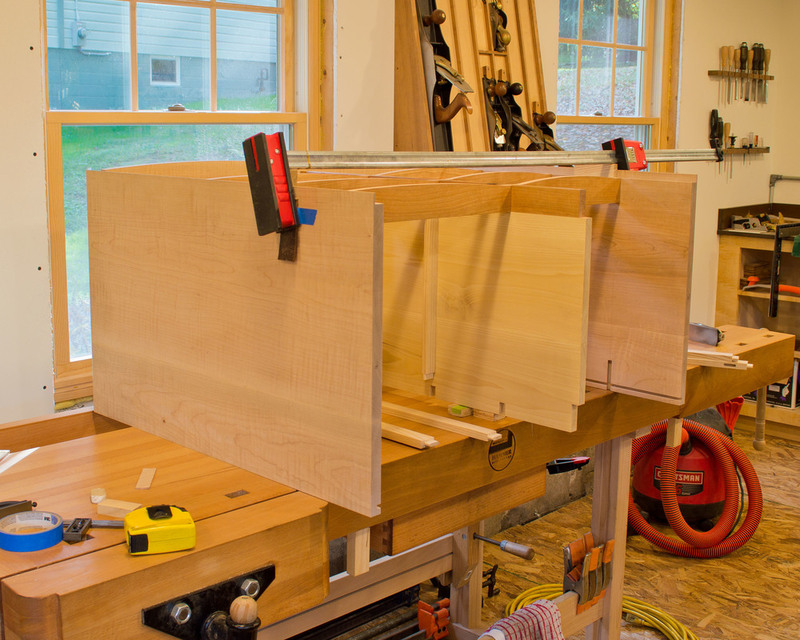 Another view of the same glue-up. 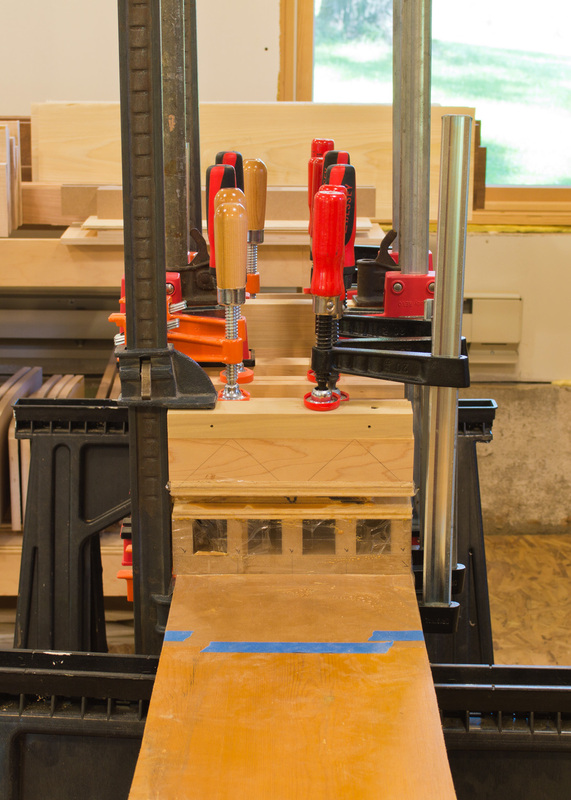 The triangles drawn on the maple clamping cauls illustrate how the force exerted by each clamp transfers through the caul to create even clamping pressure. 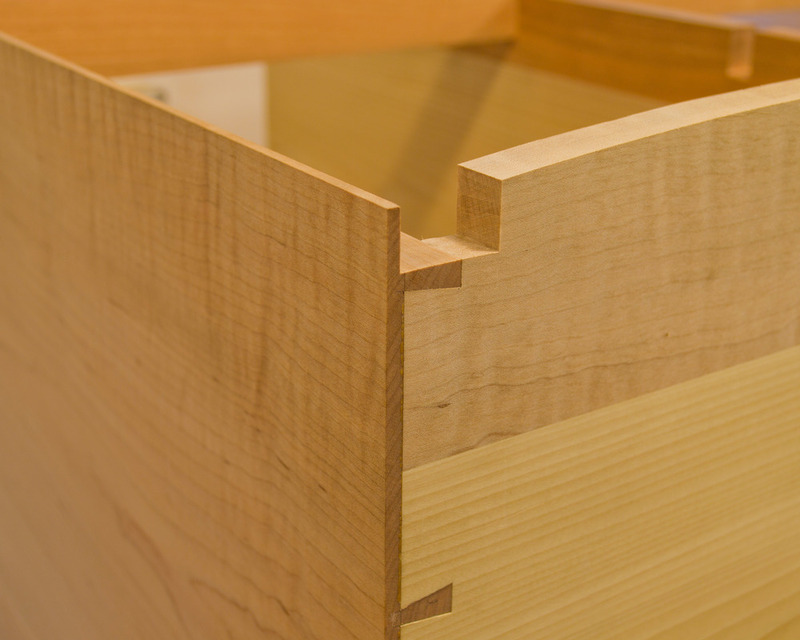 The row of clamps on the right side are offset a bit because this drawer front is not the full width of the form - it is for a shorter drawer. Clamps have been removed, showing the clamping cauls. Notice how the plywood cauls have sprung back from the form. The top layer of 1/4" plywood/maple cauls has been removed. And here is the curved drawer font, after all cauls have been removed. The fronts did spring back consistently from the form, maybe 1/16" at each end. The tan thing at the edge of the form is adhesive that squeezed out during clamping. I used Unibond 800, a 2 part urea resin glue. Ten drawer fronts and here are nine of them. 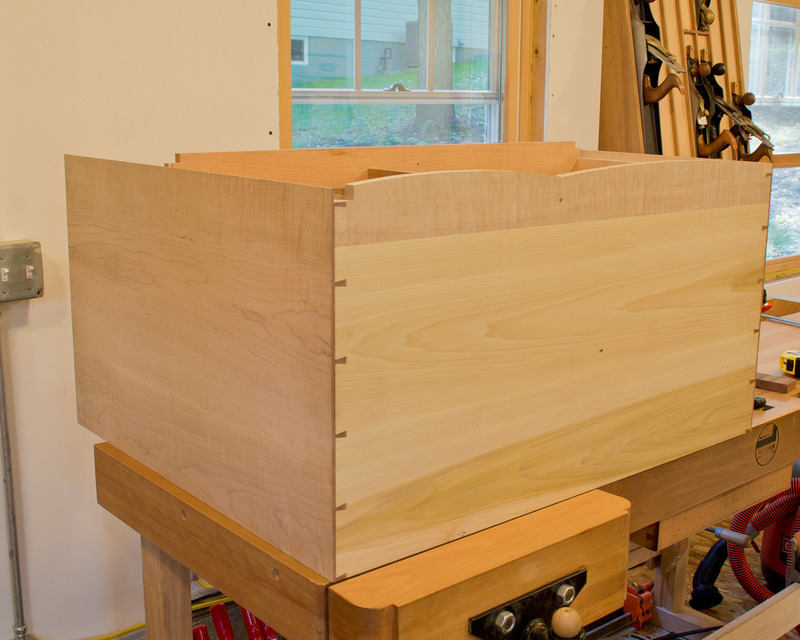 The finished chest has only 8 drawers, but I made an extra drawer front for each side, just in case. The curves are much easier to see here. 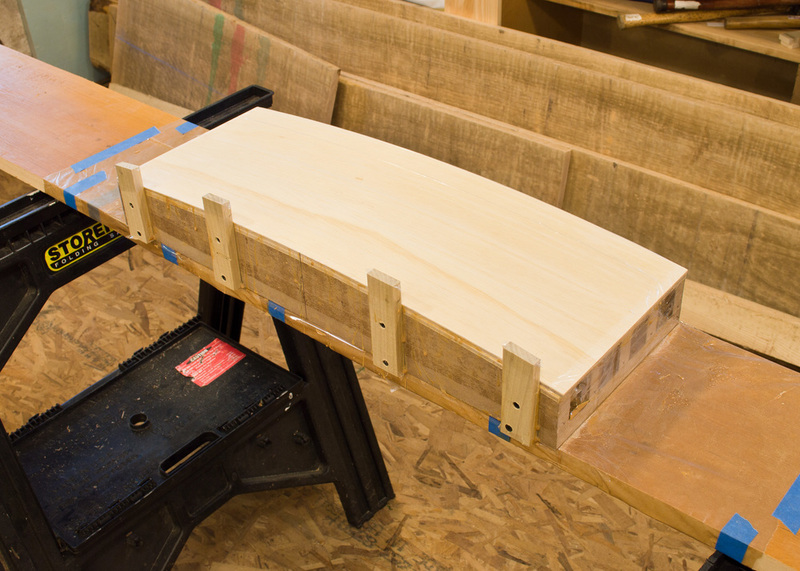 I’m working on the chest of drawers and have been sawing laminations and building forms for the curved drawer fronts. 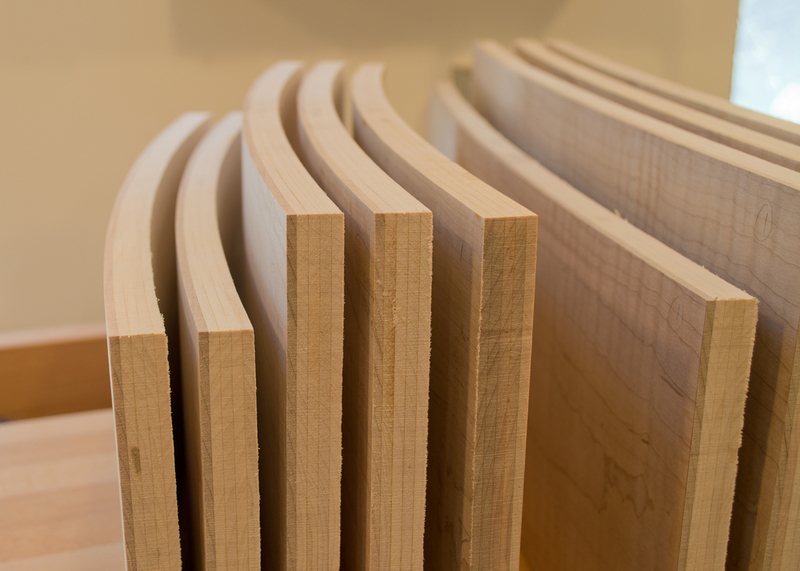 In a nutshell, the fronts are made by sawing maple into thin slices, called laminations, which are then glued together over a curved form. The adhesive, in this case a 2 part urea resin, prevents the laminations from slipping past each other and returning back to their original (flat) shape. Here are some pictures showing the process. 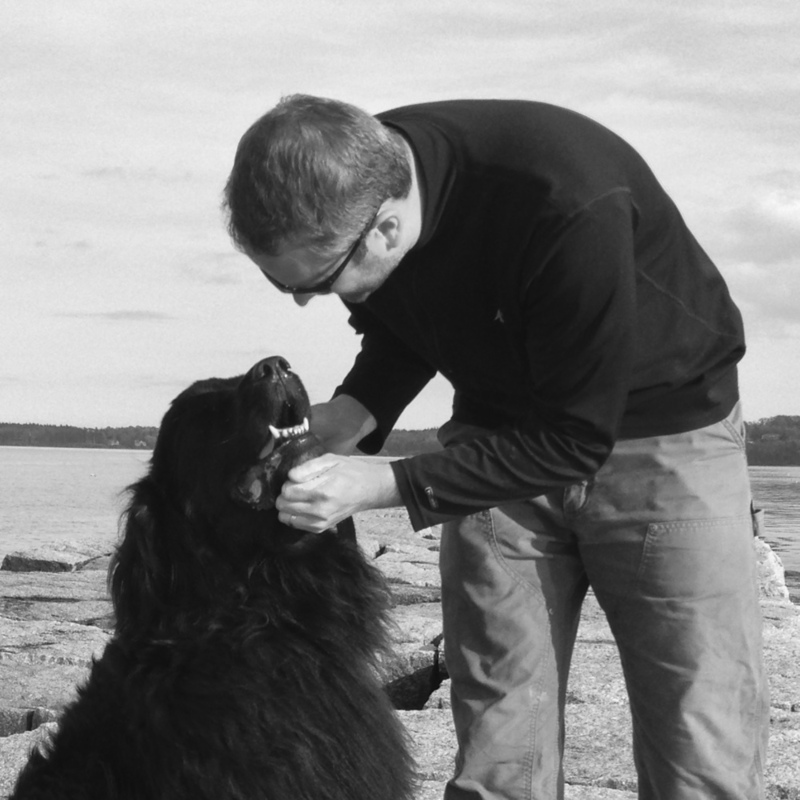 Click on any image at right to open up a full screen slideshow.